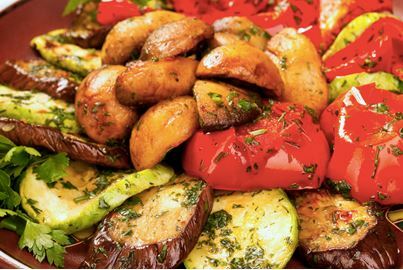 Roasting veggies is a good idea for getting full flavor and full nutritional value without adding a lot of fat or calories. Practically any vegetable can be roasted. 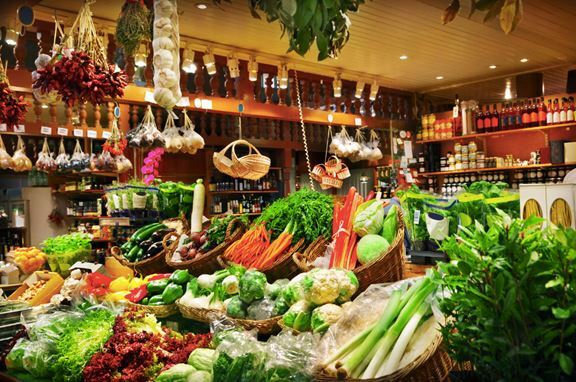 The most flavorful dishes include an assortment of vegetables. Peppers really add a lot of flavor. Different colored peppers provide a variety of anti-aging antioxidants. Dietary experts recommend included a wide assortment of antioxidants in your daily diet based on research concerning the health benefits of those nutrients. A different color indicates the presence of a different antioxidant. If you are searching for low carb veggies, you will be happy to know that raw vegetables of all kinds are “complex carbohydrates”. It is simple carbs that cause health problems because they are digested too quickly leading to a spike in blood sugar and insulin levels. This may lead to chronic inflammation and weight gain. A lifelong diet high in simple carbs greatly increases a person’s risk of type II diabetes. It takes the most time for your body to break down and digest raw vegetables. You might think of roasting veggies as a “second-best” alternative to raw. Other cooking methods dissolve more of the dietary fiber, causing them to be digested more quickly. When you mash, for example, you have done some of the work for your digestive system through the cooking process. The more work that it takes for your body to digest the food that you eat, the more calories are burned for the digestive process. This means that you can actually eat more calories, if what you are eating is something like raw or roasted vegetables, without gaining weight. For weight loss, including great tasting veggies especially roasting veggies in all of your meals is beneficial in several ways. There is the calorie burn that was already mentioned. Vegetables are generally lower in calories than other foods. When a vegetable replaces a higher calorie simple carb like pasta, you reduce your caloric intake and still feel full. The fiber fills you up, absorbs water, keeps you regular and makes you feel better in general. This is also one of the easiest cooking methods you can choose. The typical recipe calls for tossing your choice of fiber rich veggies with olive oil and a variety of spices. After tossing, you can place them in a casserole dish or any oven-safe pan and cook them for about 40 minutes in a 475-degree oven. The dish is done when the veggies are tender on the inside and lightly browned on the outside. You can experiment with any veggie that is in season. The cooking method works for all root vegetables. You will find that onions, peppers and tomatoes cook faster. Some recipes call for adding those later, usually halfway through the recommended cooking time. I also enjoy roasting kale chips or broccoli. Use same method, toss with olive oil and a bit of salt, but reduce temperature to about 250 degrees for about an hour or until slightly crisp to touch. Give some of these suggestions a try or come up with your own. If you’re like me, you will enjoy roasting veggies almost as much as you enjoy eating them.